10/32 x .75 in. 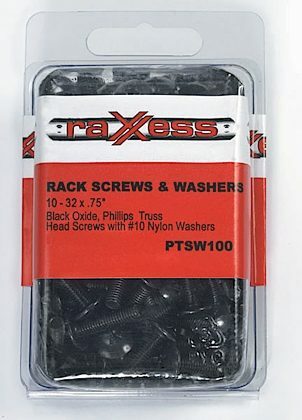 black oxide, phillips truss head screws with #10 nylon washers to prevent scratching equipment. zZounds is an authorized dealer of Raxxess products. Raxxess Warranty ﻿Raxxess offers a limited lifetime warranty on all drawers.